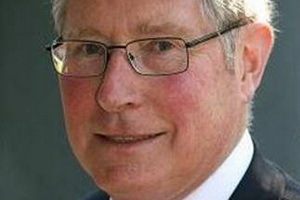 Michael Pascoe is one of Australia's most respected and experienced finance and economics commentators with four decades in newspaper, broadcast and on-line journalism covering the full gamut of economic, business and finance issues. 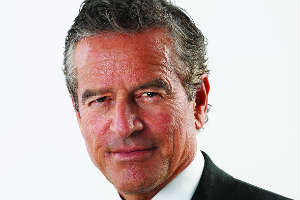 He's most recognised through his many years spent reporting on business and finance on Channel 9 and 7, in addition to his past role as Contributing Editor for the Sydney Morning Herald and Age. 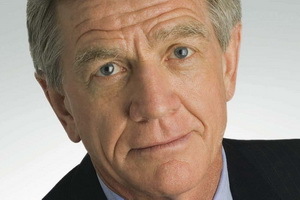 He’s now contributing editor for The New Daily and regularly seen as a commentator on the ABC’s The Drum and 7’s Sunrise and other programs. He is a popular conference speaker and MC, bringing rare humour and plain language to the 'dismal science' of economics. Michael was born and educated in Queensland, starting his career with The Courier-Mail before working in Hong Kong for three years on the South China Morning Post. 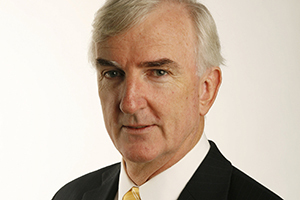 He joined the Australian Financial Review in Sydney upon returning to Australia and then pioneered specialist finance journalism in commercial broadcasting - first with the Macquarie Radio network, then with Channel 9, Sky News and 7. The head of the SA Zone was a little apprehensive with having Michael because of what has been said about AMP in the news. So he was pleasantly surprised to find Michael was very professional, and very well received. He reinforced the message to keep things in perspective in today&apos;s current market. Taking into consideration they type of audience and topic he amazed them with his good sense of humour and story telling. What came across positively was the fact Michael took the time to stay around and mingle. Humorous, insightful and challenging are just some of the words that have been used to describe your participation in our program. As a conference organiser, it is always pleasing when a speaker delivers not only to their brief, but adds to the theme and the outcome we were looking for over those few days. Michael Pascoe captured the audience from the moment he stepped up to the lectern. He educates, entertains and engages the entire audience. I could have heard a pin drop. The quality of our speaker was exceptional. Immediate feedback from our guests was extremely positive. Michael was a highly professional and very entertaining MC. A real pleasure to work with. We had some great feedback from guests. Michael had a 'presence' in the room, and bought some clever humor to the event which was enjoyed by all guests. Engaged well with the audience and referenced details about previous presentations which worked well. Very down to earth presenter who provided a good mix of pertinent information and entertainment. He was a pleasure to work with and happy to liaise with the conference participants after the session during the lunch break. Very professional and attentive approach – have received rave reviews from attendees already. Definitely the best Finance and Economics presenter I have seen. Michael was excellent, he was very well received by the audience and gave a very good account of the current economic climate. Michael&apos;s presentation was very good. The feedback from our delegates was excellent. Michael is a great speaker! He speaks in a very 'real' way to the audience and mixes great humour with factual information. We found him very easy to deal with and adaptable - he moulded his presentation to our event seamlessly. Would love to have him back! Not one negative piece of feedback and our members are still raving about the Small Business Forum. Michael has spoken to us twice now and he is excellent and very well regarded by our participants. I believe quite a number already want to have him return to our September 2011 conference. Michael added another perspective to our panel discussion on the resources super profits tax which was lacking amongst our panel members. He was very entertaining and confident in what he was saying – he knows what he is talking about. He made a complex topic easy to understand. His jokes were good! An extremely professional and entertaining presentation, well targeted to our audience. Exceptional speaker... passionate, honest, animate and pacey, and not afraid to tell the truth. We had over 10 attendees request him again for next year's event. I was thrilled with the response. Very engaging, Michael makes a dry topic entertaining and educational. Very professional presentation with content relevant to the audience , while keeping it entertaining. 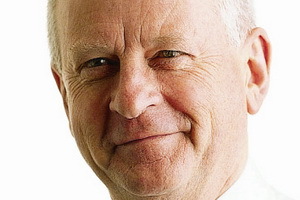 This is the second time in three months that I have hired Michael Pascoe and would recommend him for similar audiences. Knowledgeable, humorous and engaging. Very well matched to the audience. Very good at challenging the audience and keeping engaged. Extremely well received by our members. His knowledge of the economic data and trends is surpassed only by the practical ways Michael tells a flowing and connected story. A highlight was the entertaining and personable delivery which really hit the mark with the audience.